Great opportunity to own an established CMIT Solutions franchise business in San Antonio. 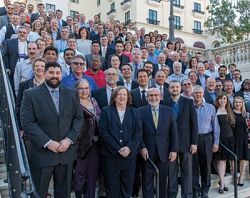 This CMIT Solutions franchise has been established since 2011 and has a very loyal and wide customer base including: engineering firms, medical practices, and manufacturing companies. Due to CMIT’s unique business model, clients are attracted to our flagship services and seek us out in the city and surrounding areas. There is a strong local brand recognition due to numerous awards and media presence. 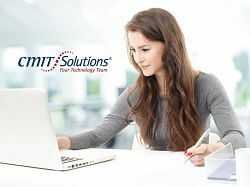 CMIT Solutions, Inc., has grown into the leading provider of IT solutions for small businesses by recognizing demand, harnessing the power of local offices run by entrepreneurs, and remaining ahead of the game with the most current and most reliable technology solutions. 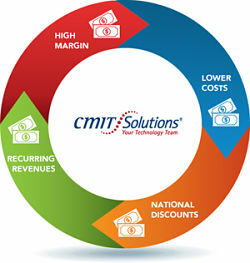 CMIT is the leading provider of managed services providing services to small and medium size businesses. Through our managed services package franchisees, build long term, recurring revenue through trust based relationships with clients. CMIT’s focus market is typically the SMB with a specific concentration on businesses with 5-99 employees. Technology landscape growing broader and more complex-SMBs need help to consider new uses of IT. Franchises deliver service and support through CMIT’s 24/7 Network Operation Center (NOC) and help desk support. From the moment a franchisee opens their door they are backed by 500 network engineers and help desk professionals. The Home Office team provides ongoing training support, and product development that makes CMIT worthy of being named a “World Class Franchise (Franchise Research Institute). Pre- Training checklist tasks covers 3 weeks of preparation, then a 2 week on-site training class in Austin, TX. Business and Success Coaches, Mastermind Groups, and ongoing training regards new products, marketing and business support tools via webinars, Town Hall etc. We started in the 1990s as an emerging IT services company that helped people operate their home computers. The company began franchising in 1998 and quickly realized the needs that local business had for IT services. As the use of computers for business gained widespread adoption, small businesses were attempting to adopt a range of applications once available only to large companies. And when they failed, business owners fell back on expensive, inefficient break-fix solutions, the only option available at the time. As a Computer Repair Franchise, we focus on proactive managed services instead of reactive break-fix services. That means we prevent, diagnose, and fix problems before our clients notice them, instead of only showing up when computers are broken or systems are down. This flips the usual IT relationship on its head — our clients think of us as their strongest line of defense when it comes to productivity and efficiency instead of just technicians tasked with fixing hard-to-understand issues. Proactive monitoring and maintenance also generates peace of mind for our clients since they know their systems are completely managed by a partner they can truly count on. CMIT Solutions offers these services through a nationwide system of more than 150 franchise units run by passionate and skilled local entrepreneurs. Local franchisees simply do a better job of serving their clients and building long-term trust — local business owners like to do business with other businesses in their community. Our franchisees are not just IT service providers but trusted professional advisors to their clients. To find out more about this CMIT Solutions franchise for Sale please fill in the form below and submit.